← Go West, Young Species? Like Ulysses and Darwin, Launch Out? A 2007 Pew Study on Muslim Americans found “them to be largely assimilated, happy with their lives, and moderate with respect to many of the issues that have divided Muslims and Westerners around the world.” Not only are American Muslims better integrated than their European counterparts, the possibility of America suddenly tossing out the Constitution in favor of Sayyid Qutb’s greatest hits is as likely as President Barack Obama publicly converting to Scientology to prove once and for all that he isn’t a Muslim. Integration has always been the American body politic’s best antibody against the virus of radical political ideology. Now let the mosque near ground zero be built. 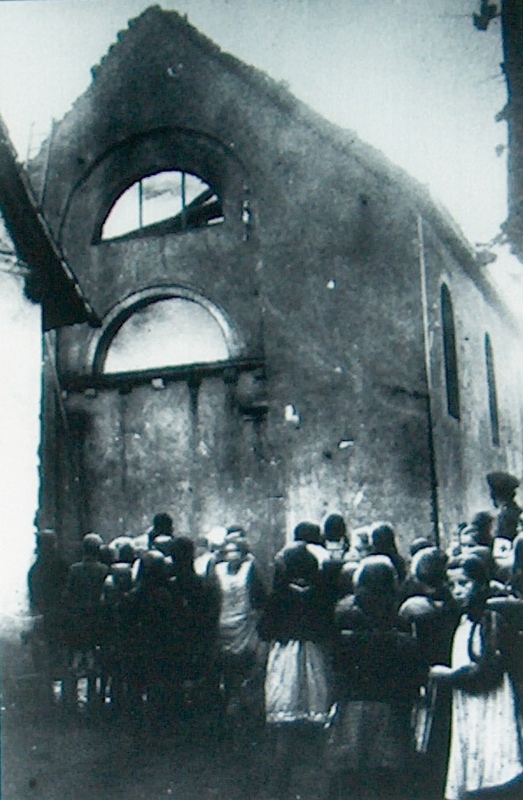 Image: children standing before a burning synagogue, November 1938 (Kristallnacht). This entry was posted in Uncategorized and tagged America, Barack Obama, ground zero mosque, Islam, kristallnacht, mosques, muslim americans, Muslims, religious freedom, the Holocaust, the quran. Bookmark the permalink.